Art publications by Cym. Books with photos and stories inspired by her travels and her projects. Wallets, notebooks, badges and more, hand made from used supermarket packages, milk cartons, frozen food containers, pizza boxes and more. 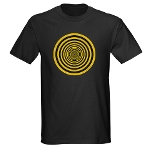 Available on black T-Shirts and other colors. 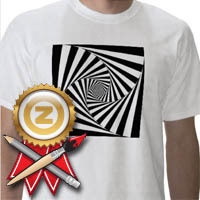 Unique T-shirt designs by Cym at Zazzle.